All students want to have a unique internship experience that they can brag about and proudly place on their resumes. An internship that sets you apart and is out of the ordinary. This semester, TAI graduate student Lauren Lombardo is doing just that while completing her Executive Internship at the Dallas Zoo. Lombardo inside the Dallas Zoo. Lombardo is working one of few indoor jobs at the zoo as the Communications and Marketing Intern. Her job responsibilities include writing editorial content, writing features for the blog, and participating in social media efforts. 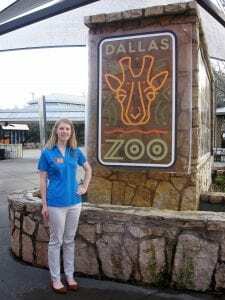 While this internship shares similar responsibilities to that of many other marketing internships, Lombardo’s position at the Dallas Zoo offers her unique experience working for a very different type of brand than typically taught in advertising courses. 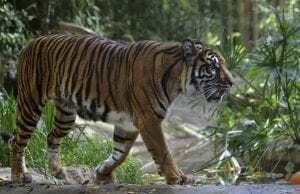 Sumatran Tiger in the Dallas Zoo. Lombardo’s love for animals and conservation has made her experiences at the Zoo incredibly special for her. Since she gets to spend a lot of time around the Zoo, she has seen several special events and exciting moments. Lombardo got her undergraduate degrees in English and Geography from the University of Texas, and is now getting her Masters in Advertising from SMU. 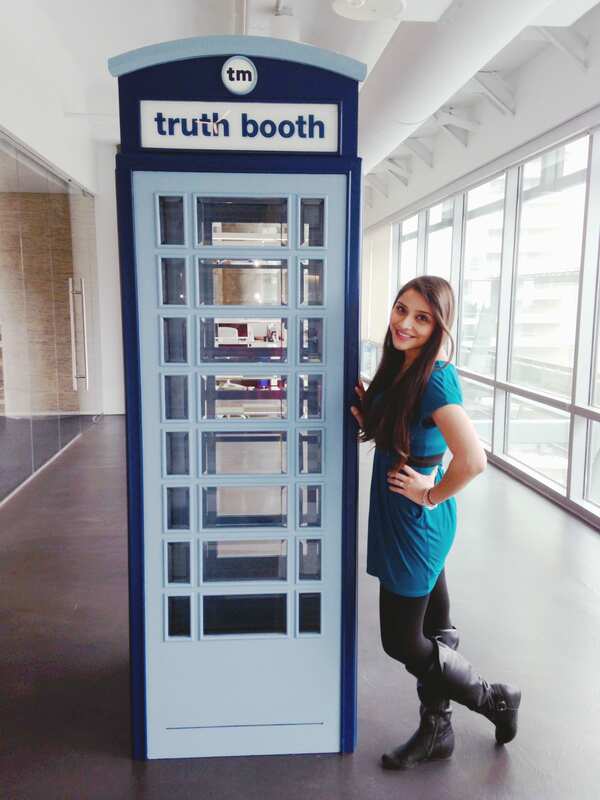 Her internship with Dallas Zoo provides her a perfect opportunity to combine her interests. In the future Lombardo hopes to work in the field of advertising and marketing as a professional copywriter. 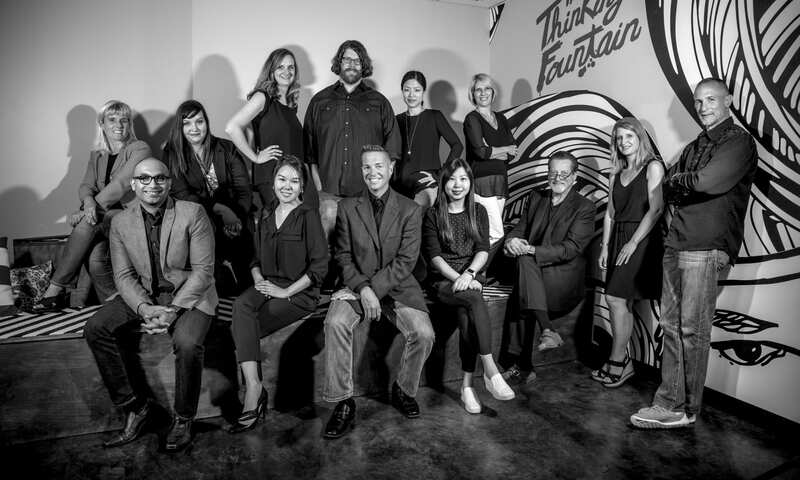 In the final semester of the Temerlin Advertising Institute’s MA in Advertising program, students work in an executive internship with a Dallas agency. Read their stories below and see what they are up to!! 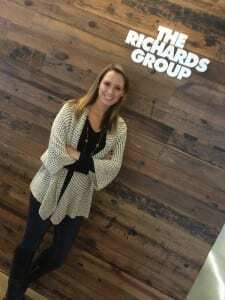 I am currently interning at The Richards Group in the Brand Management department on The Home Depot account. As a Brand Management intern, I collaborate with other Brand Managers, Planners, Creatives and Project Managers to complete television, radio, digital, and branding projects from start to finish. I am also responsible for creating and presenting a weekly competitive summary presentation to alert top management of any changes in competitors’ advertising strategies, as well as conducting competitive store audits with analysis for The Home Depot. TRG is a fast-paced, but truly fun, working environment, and I am learning more and more each day about how to work and communicate effectively as a team. I am very grateful for the opportunity to work on such an exciting account here at TRG, and I am looking forward to seeing these projects I’ve been working on come to life! 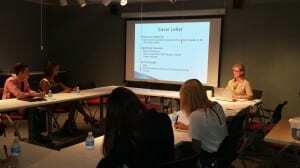 MA in Advertising Executive Internships! 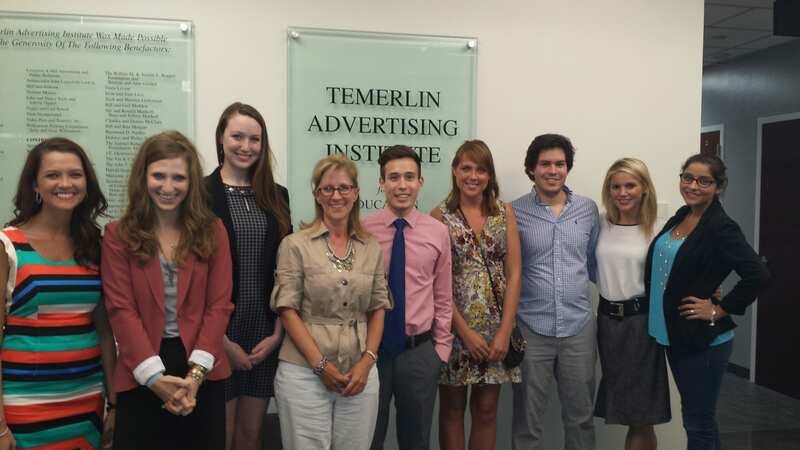 In the final semester of the Temerlin Advertising Institute’s MA in Advertising program, students work in an executive internship with a Dallas advertising agency. Read their stories below and see what they’re up to! I joined the Media team this semester at TM Advertising. I assist with several projects for American Airlines, Japan Airlines, Dex Media and PG&E, just to name a few. I am a Texan by birth and have spent much of my life traveling the world with my parents. My travels have taken me to places such as Nicosia, Cyprus and Doha, and Qatar. In my spare time, I enjoy knitting, reading and crafting. I am thrilled to be at TM, where I am looking forward to learning more about planning campaigns that incorporate different media types that reach an advertiser’s core audience. I hope to expand my knowledge in the ever-so-evolving Media space. 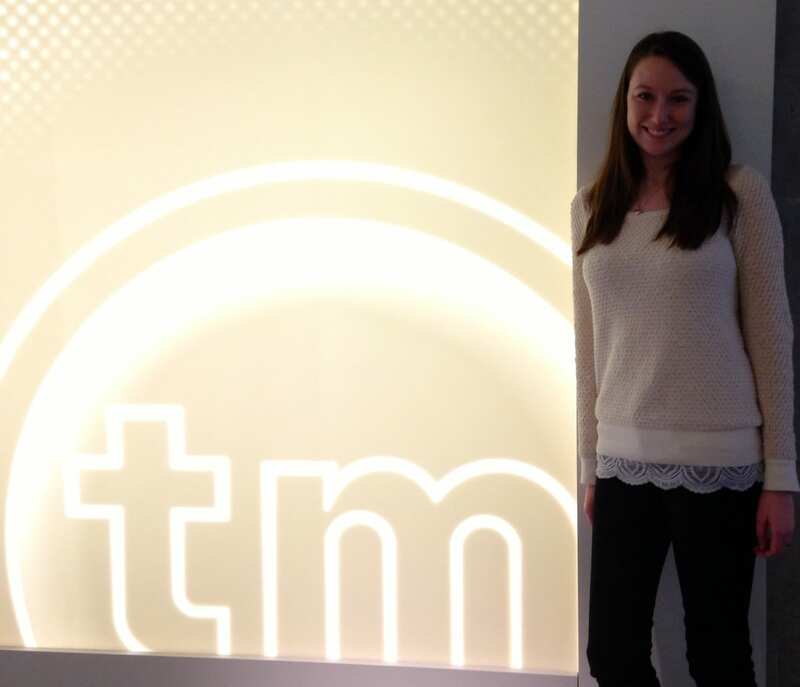 I am super excited to be undertaking my Executive Internship at TM this Spring! 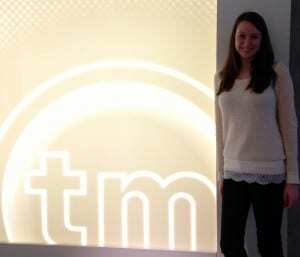 I am interning this semester in the Account Management department at TM. I work closely with a number of corporations including Captain D’s, Community Coffee, PG&E, and Universal Orlando. I am looking forward to learning the ins and outs of everyday agency life and how to develop strong working relationships with both my team and clients. I am the newest graduate intern at the digital marketing agency, Agency Entourage, located in downtown Dallas, TX. I joined both the account and social media departments. I already feel like I am learning a lot and even making an impact for my team. One of the first projects I was given to tackle was to evaluate how AE acquires new accounts. I have also been hard at work optimizing the on-boarding process. I further took on reorganizing how clients’ information is kept and stored to fully utilize AE’s collective brain power. I am excited for what comes next. I work at The Marketing Arm as an Account Service and Promotions intern on the Frito-Lay account, specifically as part of the “Do Us A Flavor” program which is in its second year. It’s the biggest program Lay’s has ever run and has become the most successful program at Frito-Lay based on consumer engagement. I specifically coordinate the submissions effort of Do Us A Flavor, including: filtering, totaling, and sorting the millions of flavor submissions. 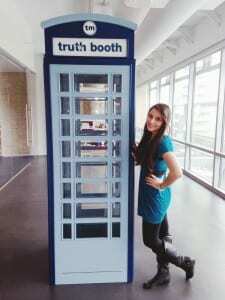 I work with the Lay’s brand team to help manage the backend database tool for the program. I also assist the Lay’s brand team with flavor recommendations. I am looking forward to learning more about the R&D process for Lay’s Potato Chips – specifically how new flavors of Lay’s are proposed, created, developed and put on shelves. 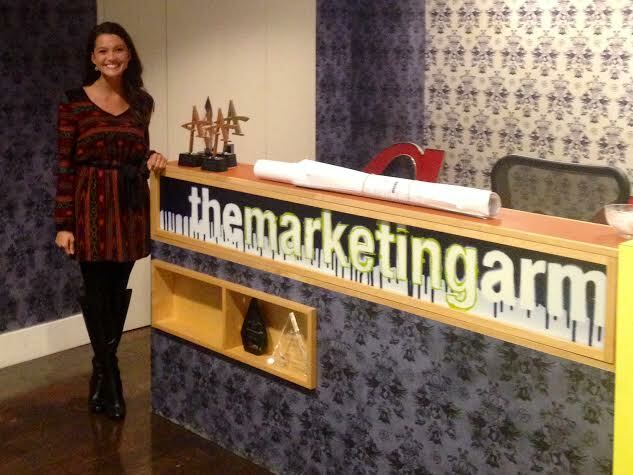 I am so grateful to have the opportunity to intern at The Marketing Arm and gain firsthand experience working in the world of advertising and marketing. As second year MA in Advertising students prepare for their Spring 2014 Executive Internships, four alumni of the program returned to TAI-SMU to share some words of wisdom and advice. 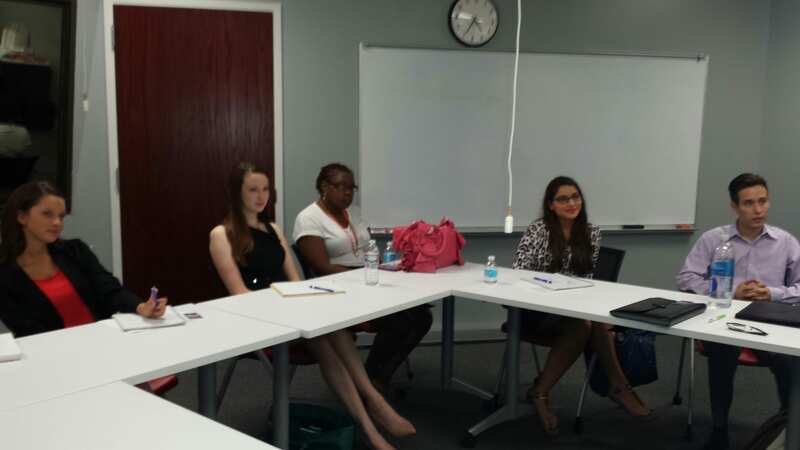 Kellyn Dunn (class of 2012), Account Planner at Firehouse, spoke about the importance of working hard and working smart. She told the students it is not enough to just get the work done, but you have to have a passion and want to give beyond what is expected. Recent graduate, AdeDoyin Adebiyi (class of 2013) shared with the group her transition from the Executive Internship to her current position in social media at Launch. She stressed the key role a supervisor/mentor plays in the learning experience. 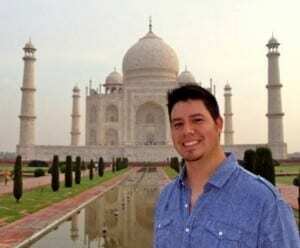 Copywriter, Matt Villanueva (class of 2012) of MEPlusYOU shared an overview of key moments in his life that have brought him to where he is today with one of those experiences being his global immersion to India during his MA in Advertising Program at TAI-SMU. The 2014 cohort also undertook a global immersion in June, but to Hong Kong. 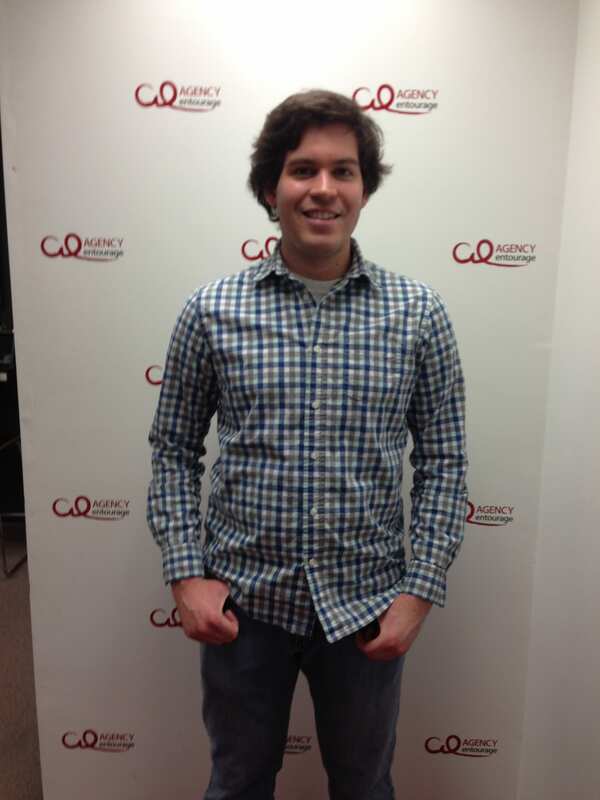 Matt further discussed tips on how to get the most out of the Executive Internship and some pitfalls to avoid. Finally, Louise Schelhammer (class of 2013), Project Manager at TM Advertising, provided some good insight in to her position and how the Executive Internship is great for understanding an agency and the process of work flow through an agency. The 2014 cohort was most appreciative of the time shared by these alumni to help prepare them for their final semester in the program. 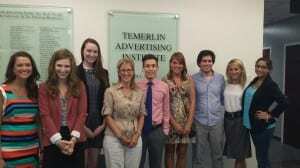 Terri Bauer, SVP/Director of Human Resources at TM Advertising, visited on Thursday night with TAI’s second year MA in Advertising Cohort. She provided words of wisdom to the group as they prepare to secure their spring Executive Internships with agencies in Dallas. The workshop focused on resume building tips and interviewing preparation as well as expectations about working in an agency. Each student received one on one time with Ms. Bauer. 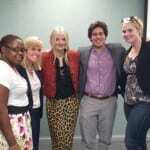 Every spring TAI’s second year MA in Advertising Cohort are placed in agencies around Dallas to gain real world experience prior to graduation in May. The process begins in the fall and TAI works with about 20 agencies. The real world experience is invaluable to the students while also providing new ideas and talent to agencies where the students are placed. It’s a win win for everyone.